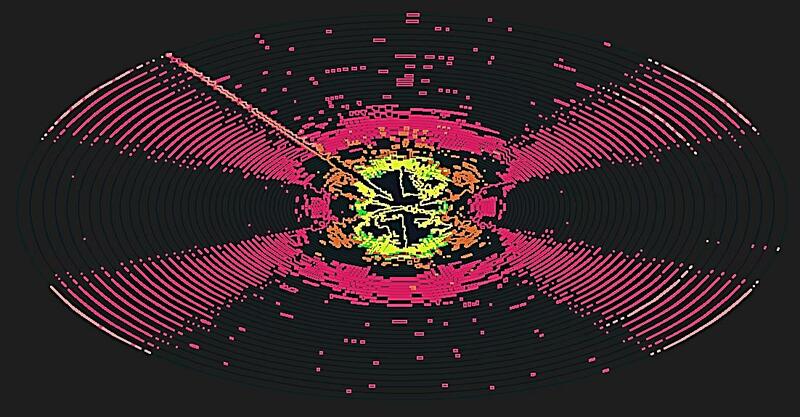 The Theodorus Spiral Company is part of a multi-media, multi-access creative installation. 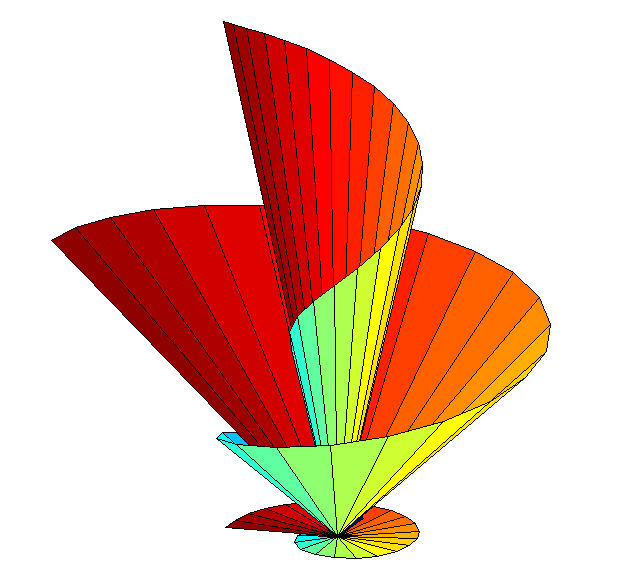 The pursuit of the maths and patterns of the spiral is genuine. 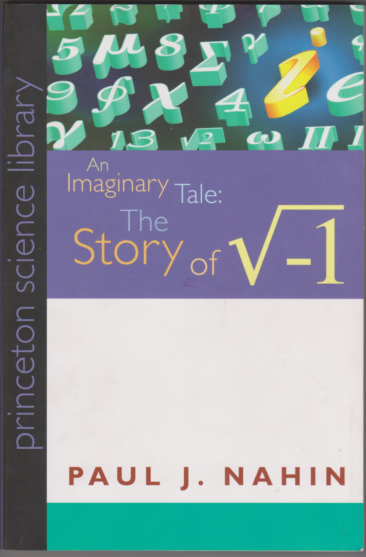 I first learnt about the Theodorus Spiral when I was reading An Imaginary Tale: The Story of The Square Root of -1 by Paul Nahin (1998). 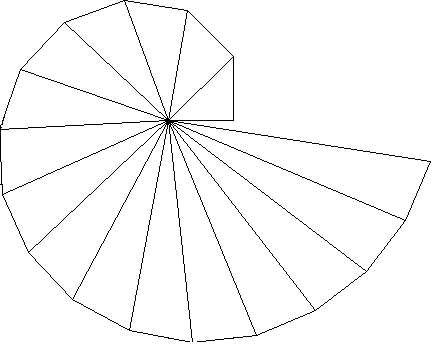 Each hypotenuse (longest side of the triangle) or spoke is always longer than the one before as the spiral goes around, but the difference in the change of length is getting smaller and smaller. The angle between the spokes is getting smaller and smaller while the angle between the opposite and adjacent side is always a right angle. 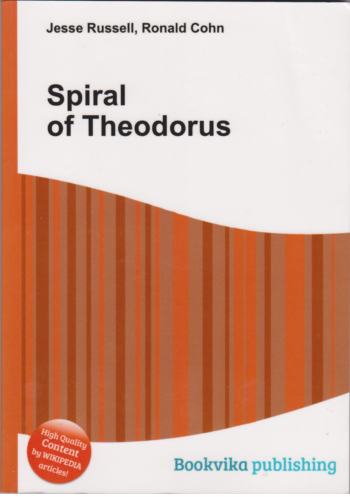 I had been training as an artistic blacksmith since 2006 and after seeing the theodorus spiral (on page 33 of Paul’s book) I thought of the idea to make an iron shield in the shape of the spiral. My intention was that it would be a work of art rather than a practical shield. This has evolved into a sculpture titled My Painted Elephant: Part 3: Kembla’s work; called a Monument to Hypatia. 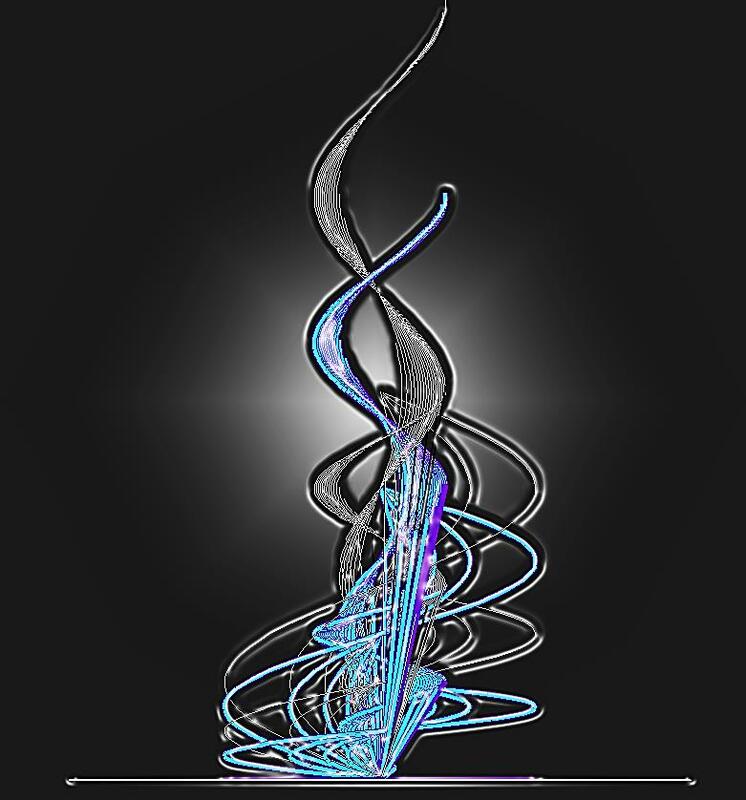 The Theodorus Spiral on the Pedastal is part of that sculpture and is featured in my novella; A Perpetual Tale to be found on my website The Red Forge Publishing House. 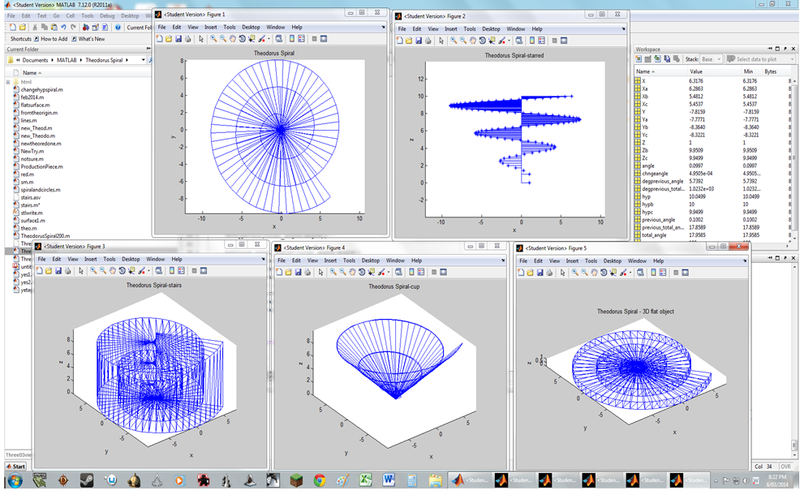 I also began investigating the maths of the spiral. 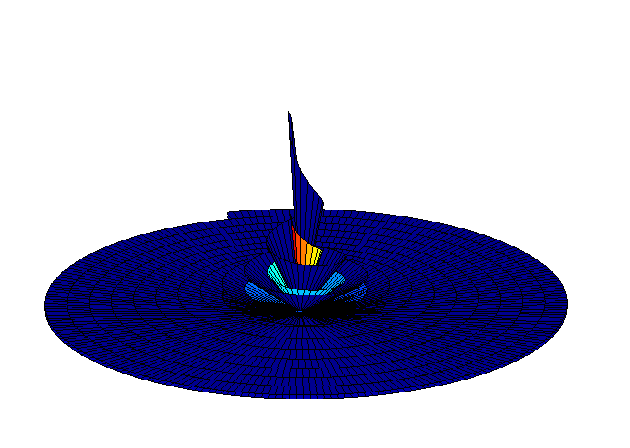 I was learning to use Matlab and began playing with some code I had written to see what happens to the spiral at a very large x. I thought it was converging into a circle but it expands even though the change in the hypotenuse gets smaller and smaller. What is the change in the circumference of the circles? Why is the difference between the winding’s gets closer and closer to pi! what is the change in the hypotenuse and the change in the change of the hypotenuse? what about 0 < x <1 and x < 0? 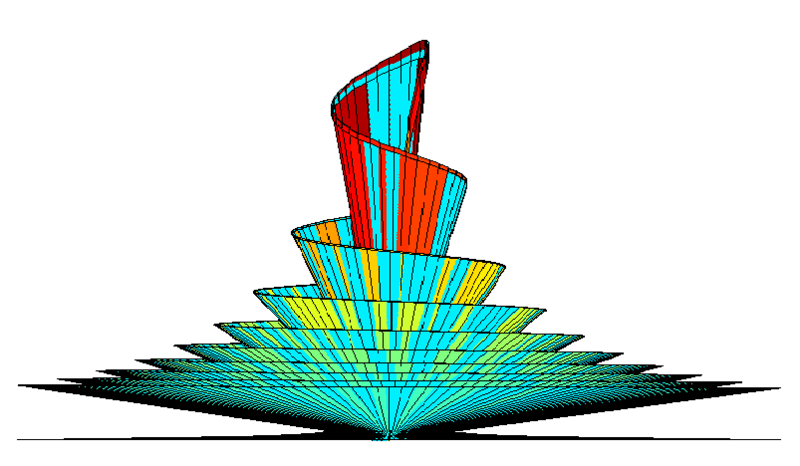 what would a 3D model look like? 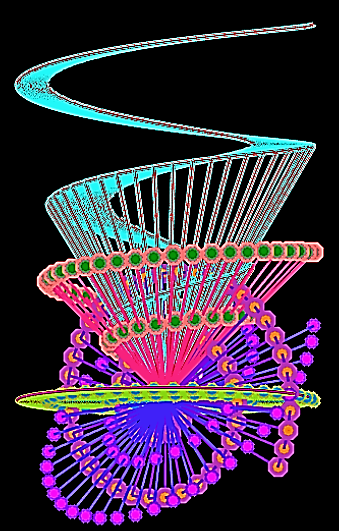 how many spokes in each winding? 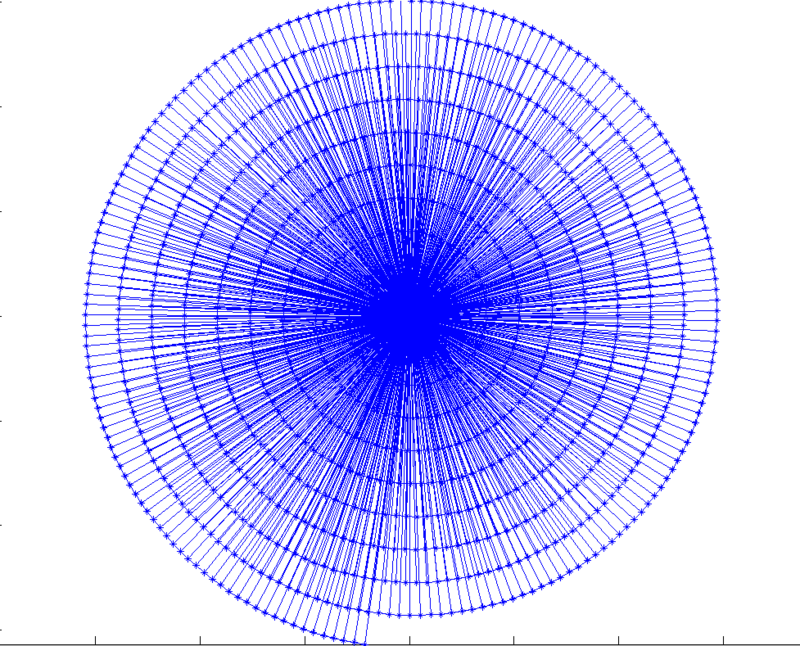 It seems that the additional number of spokes in each winding is between 18 and 21 in a seemingly random pattern. I have begun calling this the Theodorus Spiral Winding Pattern and I am going to start looking for this pattern in other places. 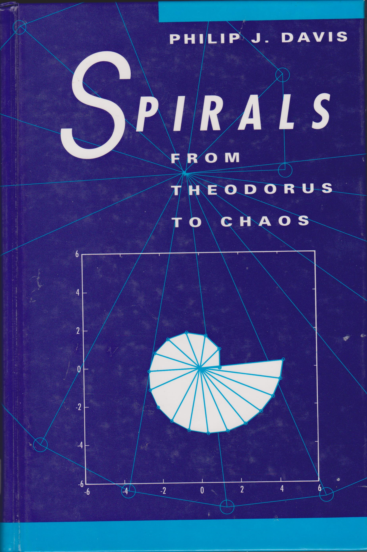 Overlapping: Apparently according to Wikipedia, in 1958, Erich Teuffel proved that no two hypotenuses will ever coincide, regardless of how far the spiral is continued. I haven’t seen this proof. 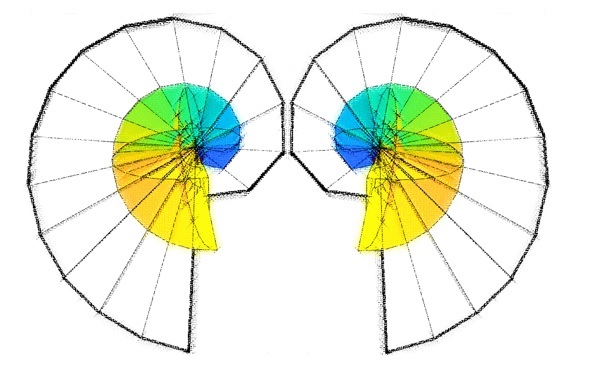 If it doesn’t overlap I wonder what it would look watching, from the origin, the plot of points as the spiral winds. What is that pattern and is there a formula? 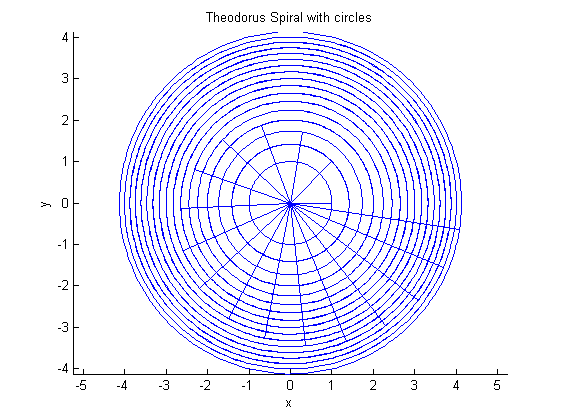 Also if the Theodorus Spiral goes on into infinity and the spokes never overlap, is this significant for computer science and information storage? 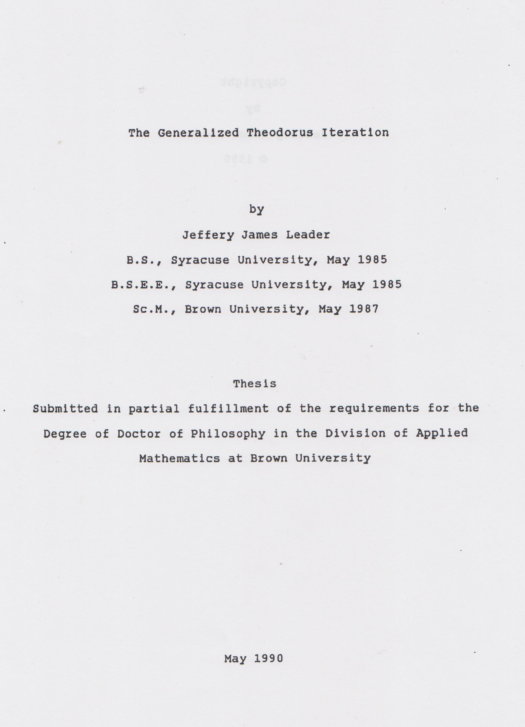 I mean in terms of pointers and list/arrays/stacks or ‘theodorus positioning’??? 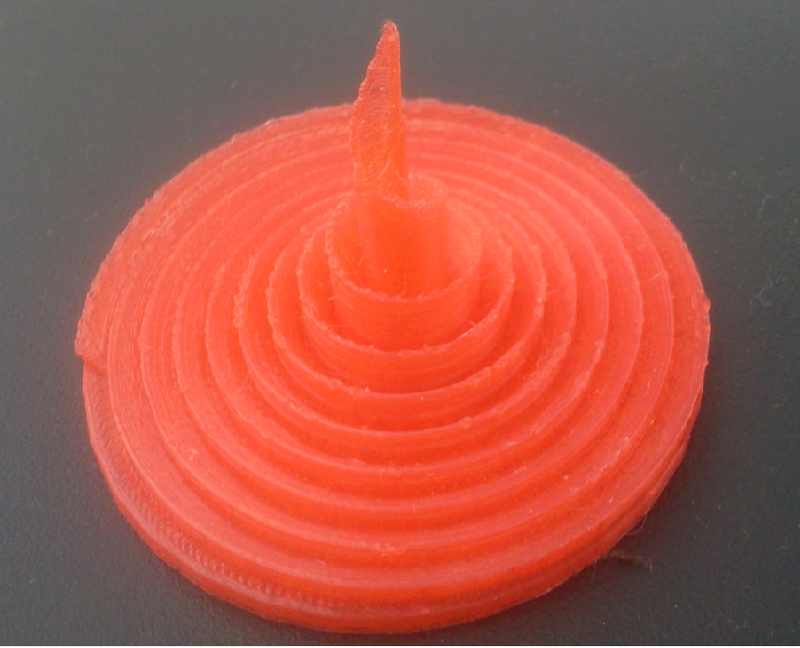 More than one spiral on one figure. The Blades (2017) Something a bit different: starting with negative numbers.